We have EVERYTHING you need to make your next tournament a success. super fun and has some great challenges ahead for your tournament. For those who book with us we can help you with the design and organization of your special event. Whether it is a corporate outing or a public event our staff can help you create a successful event. We have developed special forms, registration processes, sponsorship ideas and other helpful hints that will take the guess work out of organizing and operating your tournament. Please contact the management team for tournament rates and special REDUCED rates for LOCAL CHARITIES at (705) 855-8558. We have been waiting to serve you. 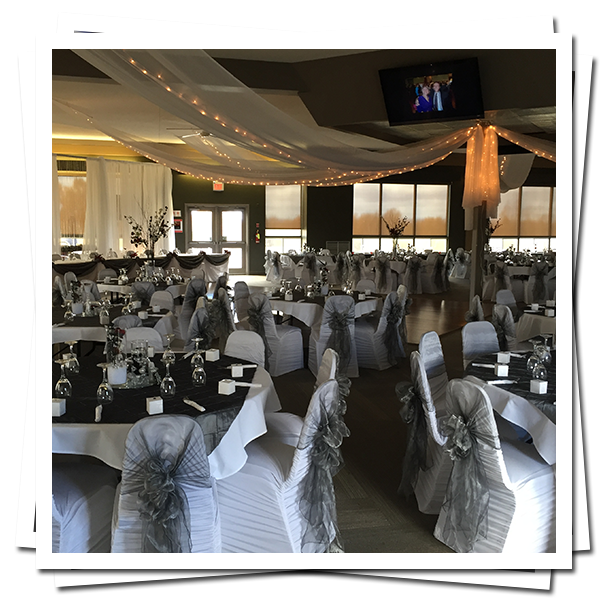 If you are planning a family reunion, a Corporate event, Christmas party, a major fund raiser, etc., let us be the facility of choice. We can accommodate you and another 249 of your family and friends in a room that was designed for eloquent functions. Wonderfully delicious menu options, served by trained staff will make your event the talk of the town. Please download our rates and menu options and should you need additional information please do not hesitate to contact us 855-8558. We look forward to serving you. For meal pricing and or special menu options please call our management team at (705) 855-8558. Find out more about what we can offer you for your next event or tournament. Find out more about booking events!